This is a railfan website dedicated to the history of the Illinois Subdivision railroad line; the westernmost segment of the former B&O St. Louis mainline. The line is currently owned & operated by CSX Transportation and runs from East St. Louis, Illinois to Washington, Indiana; a distance of approximately 159 miles. At it’s eastern end, the Illinois Subdivision crosses with the CSX CE&D Subdivision in Vincennes, Indiana and eventually transitions into the Indiana Subdivision line in Washington. At it’s west end in East St. Louis, the line meets the western end of the CSX St. Louis Line Subdivision (former Conrail and PRR mainline) and the Terminal Railroad Association of St. Louis. Between O’Fallon, Illinois and the Indiana state line, U.S. Route 50 and old U.S. 50 parallel the tracks. Train operations on the line are controlled by Automatic Block Signaling (ABS). This venerable rail line was built and completed by the Ohio and Mississippi Railroad (O&M) in 1855 and later directly connected St. Louis, Missouri with Cincinnati, Ohio in 1857. The track was originally constructed as six foot broad gauge but was later converted to standard gauge in 1871. The line became especially valuable during the civil war years; allowing for the transport of goods and supplies as well as West-bound settlers traveling from the East. The railroad also served numerous coal mines that were being developed in the area. In 1893, the O&M was acquired by the Baltimore & Ohio Southwestern Railroad (B&OSW) which later transitioned into the Baltimore & Ohio Railroad (B&O) in 1900. Following the takeover of the B&O railroad, the Illinois Subdivision became the western end of the B&O St. Louis mainline. This was the first railroad line to reach the Mississippi River from the eastern United States; running west from Grafton, West Virginia to Cincinnati, Ohio, through the Southern half of Indiana, into Southern Illinois and finally ending in St. Louis. During this period, the B&O mainline became an important route for freight and passenger traffic directed toward St. Louis from the eastern United States. Many of the communities that reside along the Illinois Subdivision route today owe their existence and history to the booming B&O railroad. A few surviving depot buildings still exist along the route today as reminders of the B&O passenger trains that frequented the line until the early 1970’s. Remaining depots are located in Breese, Carlyle, Salem, Flora, Sumner, Vincennes, and Washington, IN. A distinct feature of the B&O mainline during this era was the unique Color Position Light (CPL) signals. CPL’s were exclusive to the B&O railroad and an innovation in signaling following their design and installation in the early 1920’s. CPL’s were designed to simulate upper quadrant semaphore blade signals that were the standard across railroad lines at the time. The rounded CPL’s used color lights along with positions that provided extra safety in case one of the two lamps went out. These signals were located nearly everywhere along the route up until being phased out and replaced by 3-color lights in the late 2000’s. From the early 1970’s until the mid 1980’s, the Illinois Subdivision was utilized by the Chessie System following the mergers of the B&O, C&O and Western Maryland Railroads. The Chessie System locomotives of this era were notorious for their extremely colorful, eye-catching paint schemes combined with the now famous “Ches-C” logo, which incorporated the outline of C&O’s famous “Chessie” kitten’s into the “C” emblem of the railroad’s name. In 1987, the Chessie System was absorbed into CSX Transportation, who then became sole operators of the line. Throughout the early 1990’s into the mid 2000’s, the Illinois Subdivision remained a busy mainline and received a substantial amount of daily freight traffic; sometimes as much as 10-15 trains per day. CSX also added trains onto the Illinois Sub from the parallel former L&N St. Louis line to the south, which was severed as a through-route in 1989. Mainline rail traffic ran from St. Louis to points eastward such as Louisville and Cincinnati. This traffic included autoracks, intermodal, grain trains, pipe trains, windmills and even military transport. The route also saw occasional coal trains that were re-routed onto the line. Local rail traffic however began to slowly disappear during this period as on-line customers became increasingly sparse. This was primarily due to CSX phasing out lower volume, loose car service. In the mid 2000’s, CSX diverted all St. Louis to Cincinnati mainline traffic off the line, which left only Louisville bound trains and coal re-routes. In 2008, CSX began replacing the classic CPL’s along the route with upgraded signaling lights. Telegraph poles were also removed during this period and most grade crossings were equipped with new gates. These upgrades that CSX made to the route were in anticipation of additional coal traffic. Until around 2010, the Illinois Sub was frequently used by Union Pacific coal trains received in interchange to CSX in St. Louis for points south and east. However with the demise of the coal industry, the extra coal traffic never materialized. Following the demise of coal trains in 2010, traffic on the Illinois Sub began to heavily decline. This was mostly due to CSX diminishing support for the line as a through-route in favor of the former Conrail line to the north (current St. Louis Line Subdivision) which it acquired in the 1999 merger. The former Conrail line offered a faster through-route that could handle longer trains than the Illinois Sub. As a result, the majority of freight traffic that had once crossed the Illinois Subdivision slowly began to be re-routed onto the St. Louis line. Up until 2015, there were only 4 daily freight trains left on the Illinois Sub, which included CSX Q234, Q247 & Q265 (eastbound autorack trains from St. Louis to Louisville) and Q204 (westbound autorack train from Louisville to St. Louis). Rail cut just west of Flora, IL. In August 2015, CSX announced that the Illinois Subdivision would be shut down; citing economic conditions and declining rail traffic as reasons for the closing. This move brought a halt to over 150 years of continuous rail traffic on the line and downgraded its mainline status. 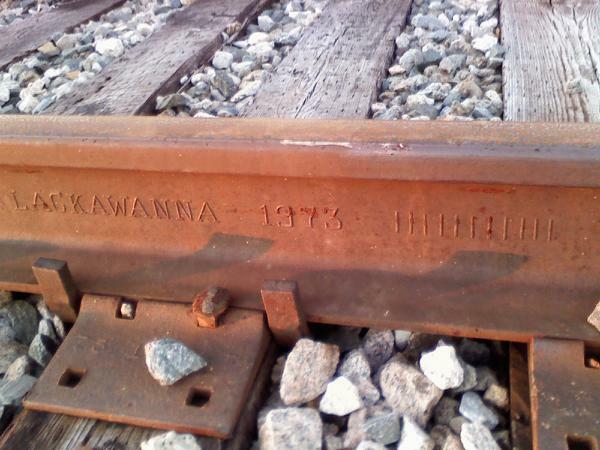 Rails were cut at both Caseyville, Illinois and just west of Flora, Illinois. All railroad crossing signals along this nearly 90 mile-long stretch were deactivated. Crossing gates were removed, signal lights were turned 90 degrees, and “tracks out of service” signs were posted. This officially put the line out of service from Caseyville to Flora. From Flora eastward into Vincennes, the line is still in operation for a local grain unit train (J700) providing rail service to the Consolidated Grain & Barge elevator in Olney, Illinois and for local industry in Flora. CSX is also utilizing the Flora Yard for storage of coal hoppers and boxcars. All remaining mainline freight traffic was re-routed onto the CSX St. Louis Line Subdivision (former Conrail line) to the north. In November 2015, CSX formally filed for a Discontinuance of Service exemption on the Illinois Subdivision between milepost BC 304 near Aviston to milepost BC 327.9 near Caseyville with the U.S. Surface Transportation Board (STB); effective January 2016. 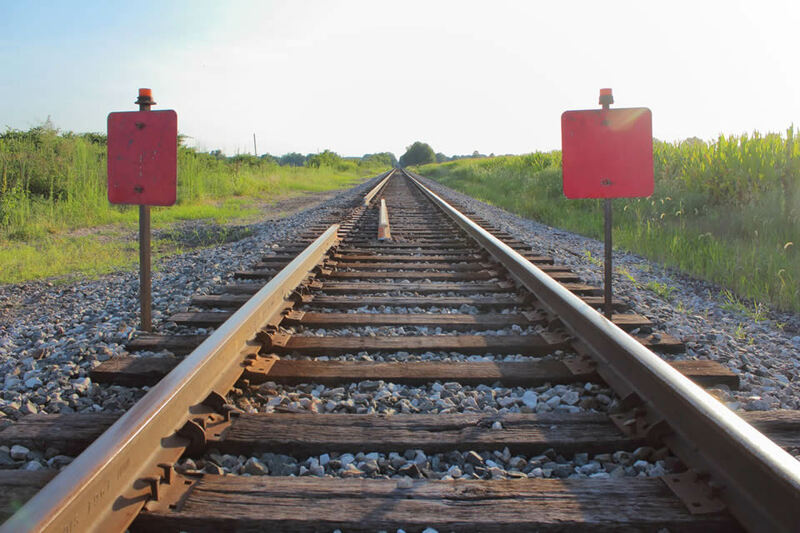 The STB is an economic regulatory agency affiliated with the Department of Transportation for administrative purposes such as having jurisdiction over rail restructuring transactions like mergers, line sales, line construction and line abandonment cases. The discontinuance removes common carrier obligations for this section of the line. In August 2016, CSX filed an additional discontinuance of service exemption from the STB on a further segment of the Illinois Subdivision line; between milepost BC 244.7 near Flora and milepost 304 near Aviston. This officially went into effect in February 2017. In April 2017, CSX briefly re-opened the line for railcar storage. The original plan was to fill the entire line with stored railcars. The one and only storage train occurred on April 29th, 2017. Over 200 railcars were placed into storage at two locations on the west end; Aviston and Shattuc. Some additional cars were stored on the east end near Iuka. A few months later, rail cuts were made at both Caseyville and Flora and the line was once again officially out of service. Following FRA approval of a request by CSX to retrieve the stored railcars on the west end at both Aviston and Shattuc, CSX began the process of removing these cars in March 2019. Additional stored railcars on the east end were also removed from the line near Iuka and Flora. At this stage, the future of this historic railroad line is uncertain. CSX has stated that it has no plans to reopen the line anytime soon. No matter what lies ahead for the Illinois Sub in the future, it’s place in the history of this region will be remembered as being significant. Under the O&M and B&O railroads, the line played a major role in the economic development of the communities along it that were founded and settled following its opening in 1857. The majority of these communities owe their existence to this railroad line. Moving forward, I intend for this website to be a resource dedicated to this once vibrant and important railroad line. I will be periodically adding information as it becomes available; sharing any online articles or videos that I come across which are relevant to the past, present or future of the Illinois Subdivision line. Feedback or information from other railfans or train enthusiasts is welcomed. Please feel free to send me a message via the form located on the contact page. This site is not affiliated with CSX Transportation and is intended for informational purposes only.